Along with a new games subscription service and news subscription service, Apple has premiered a new video subscription service - Apple TV+ - that'll feature new content from the likes of Steven Spielberg, Oprah Winfrey, J.J. Abrams, Jason Momoa, Octavia Spencer, Jennifer Anniston, Reese Witherspoon and more. Exclusive shows, movies, and documentaries are what users will be getting from the new service, signaling more competition for the likes of Netflix and Amazon. This comes on the heels of YouTube reportedly canceling plans for all its high-end Hollywood dramas and comedies, to focus on music and gaming. In addition, Apple has also unveiled a new Apple TV app and new channels that'll launch in May. Users are now able to subscribe to new Apple TV channels like HBO, Starz and Showtime, and pay for only the services they want with the new version. 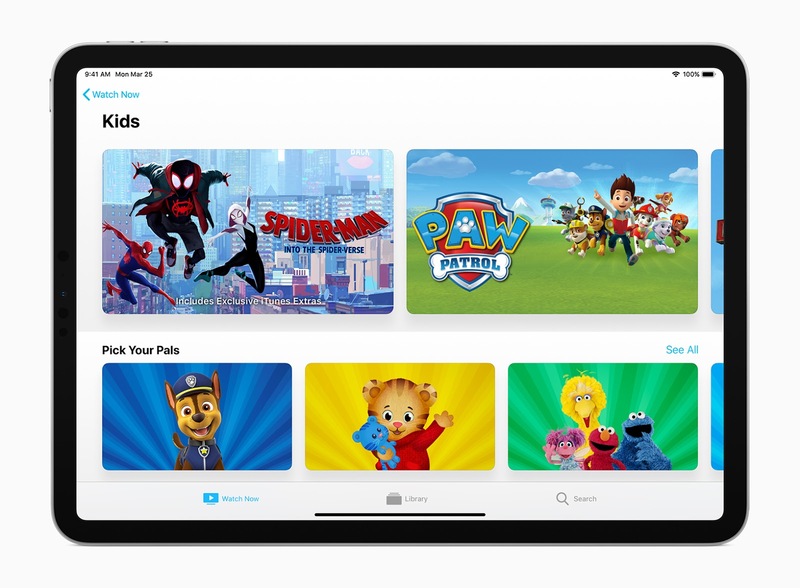 The new app will offer suggestions for movies and shows from more than 150 video streaming apps, including Hulu, Amazon Prime, and pay-TV services like Playstation Vue, DirecTV Now, Canal+ and Charter Spectrum. Pricing and availability information for the new Apple TV+ are yet to be released by Apple.